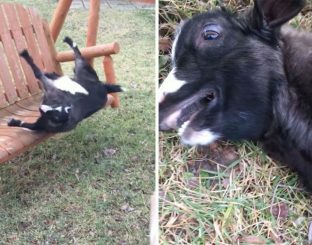 Accompanied by her sister Lucy, the dwarf goat made Ricky a fall by jumping on a garden swing. Suffering from congenital myotonia, Ricky muscles block at the time where the animal too excited standing on the porch swing. 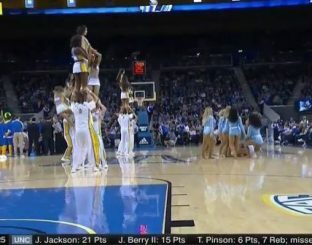 Completely frozen, Ricky fell so by falling backwards.